We dissect “Bad Religion” by Frank Ocean, a harrowing ballad expressing the torment of unrequited love. The post S3E6 – Bad Religion by Frank Ocean appeared first on City Scout Magazine . We conclude our two part analysis of Frank Ocean’s contemporary masterwork “Pyramids.” The post S3E5 – Pyramids (Part 2) by Frank Ocean appeared first on City Scout Magazine . We dissect Frank Ocean’s 10-minute masterwork “Pyramids” from Channel Orange. Part 1 of 2. The post S3E4 – Pyramids (Part 1) by Frank Ocean appeared first on City Scout Magazine . Our serialized examination of Frank Ocean’s channel ORANGE continues with “Super Rich Kids”, a tragic rumination on the effects of wealth disguised as a party anthem. 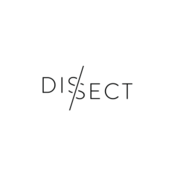 Follow @dissectpodcast on Twitter and Instagram. The post S3E3 – Super Rich Kids by Frank Ocean appeared first on City Scout Magazine . Our serialized examination of the music of Frank Ocean continues with a look at the cultural impact of Frank’s open letter that revealed his sexuality days before the release of Channel Orange. Then we dissect Ocean’s biggest hit to date “Thinking About You.” Follow @dissectpodcast on Twitter and Instagram. The post S3E2 – Thinking About You by Frank Ocean appeared first on City Scout Magazine .